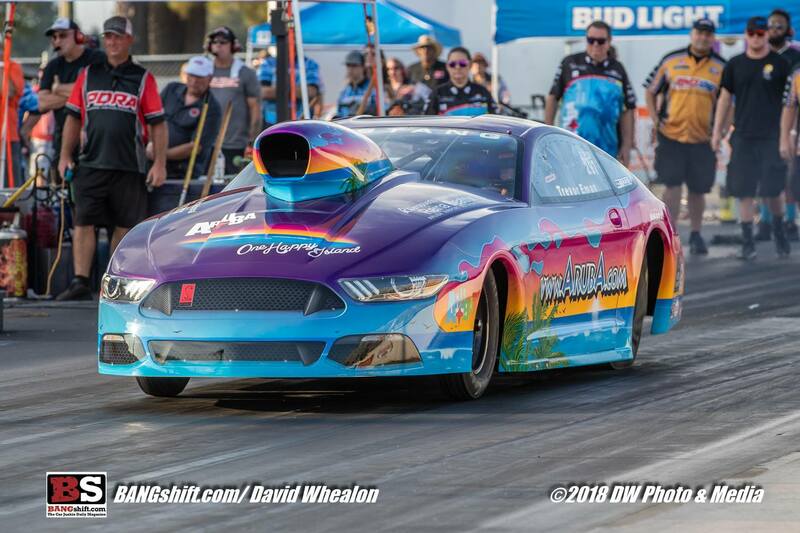 DARLINGTON, S.C. (Oct. 10, 2018): Team Aruba traveled to the Legendary Darlington Dragway last weekend for the second to last stop on the 2018 PDRA tour. Although every event is at least one plane ride over the ocean for Team Aruba, this event could be considered their home stop on the tour, as it’s the closest to the team’s stateside base in Union, S.C. They continued their impressive stint with the new car, making their second semi-final appearance in as many races. 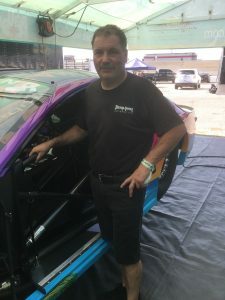 Driver of the Aruba.com Mustang, Trevor Eman, and his wife, Nicole, are expecting their second child soon. While Eman is home awaiting their newest addition, John Bartunek filled his seat. “I was very impressed with the amount of people that came to me asking how Nicole and the upcoming baby were doing, both racers and fans,” expressed team owner, Ven Eman. “This goes to show the bond in the PDRA. Bartunek will also be driving the Aruba.com Mustang at the PDRA World Finals at Virginia Motorsports Park, October 18-21. “We are already preparing for the World Finals. Bruce Morgan will also be with us for Virginia after missing two races, and Bartunek will be in the driver’s seat again to finish out the season for us. John is not only a good driver, but also knows his way around all aspects of the car. He has a long history in Pro Stock and is a great fit for us.